Race walking is a little understood sport. Actions like running, jumping and throwing are well-defined; they highlight ability. To our minds, walking has never been in the same league as running. If you walk fast, it remains just that – a fast walk. Leveraging that to mean high sport is tough on the imagination. Unless you get down to attempting a 20 km or 50 km walk and complete it in times that would put most amateur long distance runners to shame. Which is what, race walkers do. But then all sports have become so wrapped up in their private ecosystem that imagining what it’s like being in someone else’s shoes is a fading talent. The uniqueness of running is that it is not as common as walking. Who will empathize with what’s perceived as less? That’s why the news of mid-March 2019 engaged. Six years earlier, in September 2013, Tokyo had been selected as host city for the 2020 Summer Olympics. In the time since, a lot changed with regard to rules for athletes to qualify for the Olympics. While the jury is still out on how apt the revised qualifying norms from International Association of Athletics Federations (IAAF) are, the general impression is that qualification by timing has been tightened further while some cushioning (as additional route to qualify) has been provided courtesy an international ranking system in each discipline. At the beginning of 2019, there were three major events looming before elite athletes – the Asian Athletics Championships in Doha (Qatar), the IAAF World Athletics Championships in Doha and the 2020 Tokyo Olympics. The qualifying mark got tougher as one moved from the first event to the last. The Sixth National Race Walking Championships held in Chennai in February 2019 was to serve as platform for Indian race walkers to qualify for the world championships in Doha. None made the cut. Following the race walking competition in Chennai, the sport once more sank from media attention. 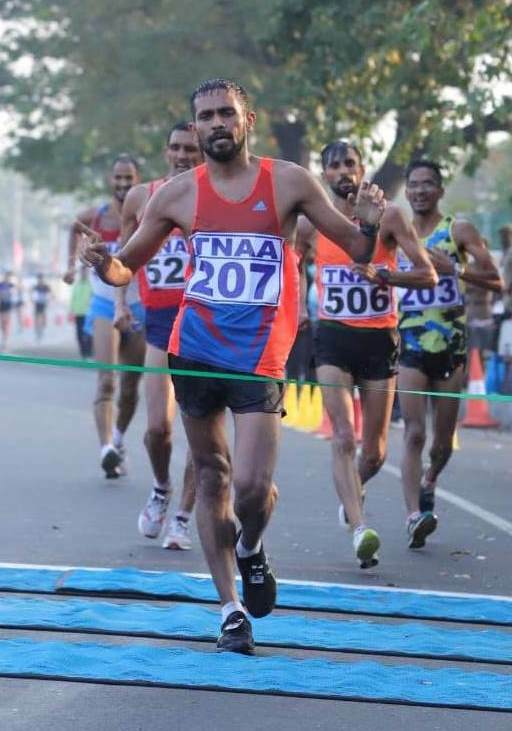 Then a month later, race walking provided a story worthy of national attention – K. T. Irfan had placed fourth in the 20 km race walk at the Asian Race Walking Championships in Nomi, Japan. More important, at one hour 20 minutes and 57 seconds, his timing was within the qualification standard of one hour 21 minutes assigned for the 2020 Tokyo Olympics. Race walking had produced the first Indian athlete to qualify for the upcoming Tokyo Olympics. For Irfan, already a veteran of two Olympics in his 29 years on the planet, it was more than qualifying for Tokyo; it was much awaited return to normalcy. Roughly ten days after the event in Nomi, it was very hot in Kozhikode, north Kerala. The state, battered by heavy rain in 2018, was now in the grip of a heat wave. Health advisories were out. “ Are you sure you don’t want an air conditioned room?’’ the front office manager at the hotel asked. “ Absolutely,’’ I said. There are certain things you are sure of when surviving on freelance journalist’s income; type of hotel room is one of them. Over an hour later, the trip by transport bus to Kuttoli in adjacent Malappuram district was surprisingly tolerable. I attribute that to vegetation, still alive and offering shade in these parts. The region was hilly with ups and downs, not pronouncedly but definitely so. From Kuttoli, one took the road proceeding to Kuniyil. Wikipedia provides further insight into the geography of this area. Kuniyil falls in Kizhuparamba panchayat; the latter in Malayalam means low lying land. Essentially the valley between nearby hills, some parts here are susceptible to flooding when water levels rise in Chaliyar River during monsoon. Kuniyil is where Irfan grew up. Born February 1990, he was one of six children. His father’s work entailed aggregating coconuts from the region and drying it to copra for onward supply to oil mills. Financially, it was hard times for the family. They struggled. Irfan studied at Kuniyil’s Al Anvar High School up to tenth standard. For eleventh and twelfth he attended Government Vocational Higher Secondary School at Kizhuparamba. Traditionally the more sport loving part of the state, north Kerala is crazy about football. “ This is football country,’’ Irfan said. Like any other youngster he too ran and played in school. There was nothing remarkable in that engagement with sports. Sole incident recalled was a fall during high jump that left him with a cracked arm. Things changed when Rebas Mosahi entered the frame. Race walking’s origins date back to the nineteenth century, to competitive long distance walking events generally called pedestrianism. According to Wikipedia, it was a popular working class past time in England and America. The first English amateur walking championship was organized in 1866. Race walking first appeared in the Olympics at the 1904 Olympic Games as a half mile walk in the all-rounder category, a precursor to the modern decathlon. From 1908 onward it has been at the Olympics as a distinct, stand-alone event. Women’s race walk made its Olympic debut in 1992. At senior level, the distances tackled are usually 20 km and 50 km but this, the IAAF has said, is set to change (for more on these changes please try this link: https://shyamgopan.com/2019/02/07/race-walking-iaaf-committee-recommends-changes/). By the time Irfan was growing up in Kuniyil, race walking was already a discipline included at school and college level athletics competitions in Kerala. Rebas – he was senior to Irfan and a friend of Irfan’s brother – was a competitive race walker. He trained under their school coach, Jose. Race walking is not a sport featured frequently in the media. In rural Kuniyil, there wasn’t much information available on race walking. Jose was window to the sport. It was generally felt that Rebas would benefit from having a training partner. That is how Irfan came into the picture, as did another friend, Salman K.P. The trio trained to race-walk at school and on the local roads. Typically, it was jogging in the morning; race walking in the evening. Race walkers have always been an oddity for their peculiar style of walking. It is a style that takes walking to as fast as it can be while respecting two critical conditions – (a) the athlete’s back toe cannot leave the ground until the heel of the front foot has touched the ground (b) the supporting leg must straighten from the point of contact with the ground and remain straight till the body has passed over it. Walk so and it is often a peculiar gait to behold. With three local lads into the sport, Kuniyil got used to the sight of them race walking on local roads. But in a sport where logging miles is part of training, reactions weren’t the same everywhere they went to. “ When we crossed from Kuniyil to other places in the region, it was common for people unfamiliar with race walking to make fun of us. You ignore it and carry on,’’ Irfan said. As the months went by, the boys logged miles on the region’s ups and downs. The first break through for Irfan came in 2006. At a school meet in Palakkad, he finished fourth in the state in 20 km race walk. Salman placed fifth. 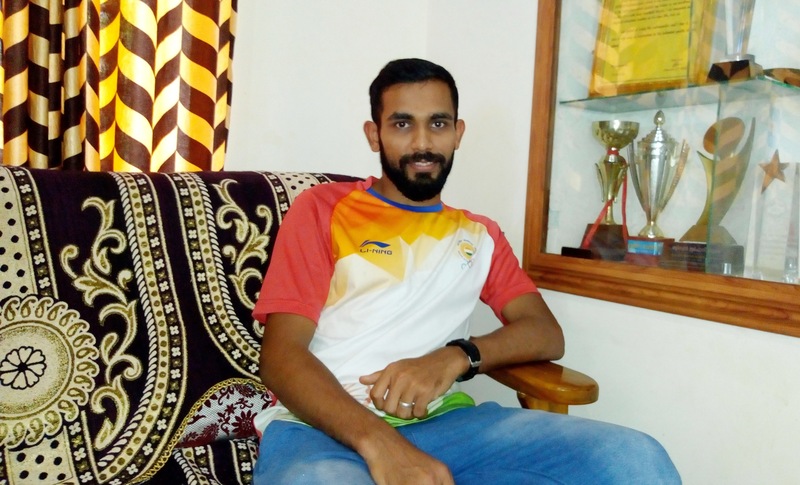 Following the Palakkad result, Jose suggested that Irfan appear for trials to secure admission to the Sports Authority of India’s (SAI) regional training facility in Kozhikode. The trials were due at the city’s Devagiri College. When they first reached the scene, both Irfan and Salman turned back owing to sheer nervousness. But they felt guilty; Jose had invested time and effort in them and they couldn’t let him down. So they returned to the trials, where Irfan made the cut and was accepted as a day trainee. Given Kuniyil was some distance from Kozhikode he stayed with his aunt in the city and attended training. At SAI, his coach was Bose. 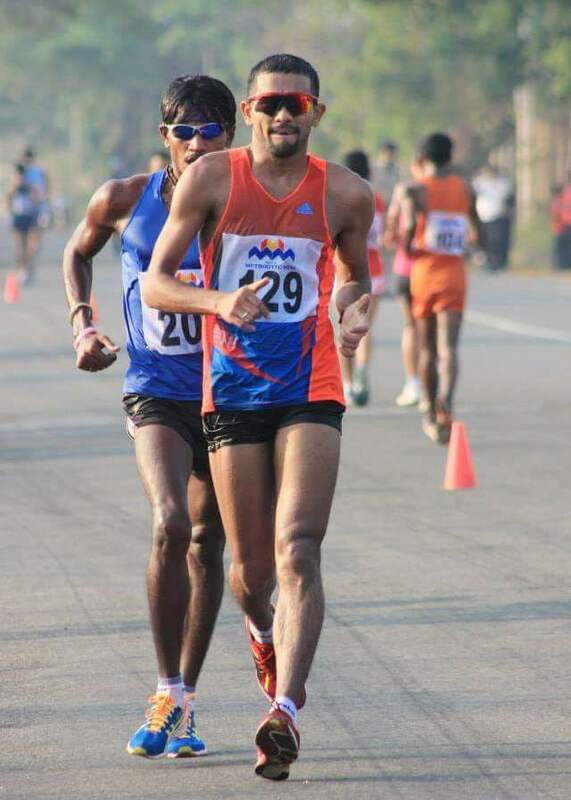 In 2007, at Puducherry, Irfan set a new under-20 South Zone record in the 10 km race walk, covering the distance in 46 minutes 46 seconds. At the next level – the inter zone meet – he finished sixth. “ I was tense. It was my first national meet,’’ Irfan said. After that South Zone record, he was provided hostel accommodation at SAI, Kozhikode. He also gained admission under sports quota, to study at Devagiri College. “ One reason I persisted with sports is that I wanted my education to be self-supported and not be a drain on my father’s income,’’ Irfan said. For three years – 2007, 2008 and 2009 – Irfan competed in university level competitions (he represented University of Calicut). In 2007, he did his first 20 km race walk, completing it in two hours five minutes. In 2008 and 2009, he secured gold medal at these contests. Given the timings reported by race walkers in their discipline, they would seem good candidates for crossing over into the world of distance running. For instance, the timing reported for 20 km race walk compares well with timings at half marathons (the half marathon is longer by a kilometer) while the timing for 50 km race walk (as of early 2019, the world record in the discipline was held by Yohann Diniz of France; 3:32:33) sits comfortably in full marathon territory despite 50 km being longer than a marathon. Irfan said, he never had any inclination of that sort. “ I was never in doubt or wanting to shift to another sport,’’ he said. One reason for this was his cadence; he called it “ frequency.’’ He has very good frequency in this movement, critical for race walking. “ I had faith that I would do well,’’ he said. In 2009, as SAI started weeding out over-age trainees, Bose told Irfan that it was time he looked for a job. Around this time, there was an inter-state athletics meet held in Kochi. At this meet Irfan met the race walking team from the Indian Army’s Madras Regimental Center (MRC). Their coach P. S. Jalan, took note of his performance and asked if he would be interested in joining the army. Following trials at MRC, Irfan was selected. After the required medical tests in Bengaluru, he formally joined the Indian Army (Madras Regiment to be precise) on March 15, 2010. He reported to MRC in Ooty. MRC had a sports company, which had in it the regiment’s sports stars. It was coached by Subedar Ram Kumar. In September-October 2010, Irfan participated in an army sports meet featuring athletes drawn from its units in South India. He got gold in the 20 km race walk. After this, he moved to Hyderabad where the Southern Command maintained its sports team. At the inter-command sports meet, he finished first in 20 km. Selected to represent the army, Irfan next participated in the Services Meet where again he finished first. Thereafter at the 2011 National Games, he placed fourth. At the behest of Gurudev Singh, coach at the national camp, Irfan reported to the national camp in Bengaluru in June 2011. After about ten days of training under Gurudev Singh, on June 12, he secured silver at an inter-state championship in Bengaluru. That was his first medal at the national level, in senior category. Following this he shifted to National Institute of Sports (NIS) in Patiala for the remaining period of the national camp. In September 2011, at the Open National Athletics Championship in Kolkata, Irfan secured gold. At Gurudev Singh’s suggestion Irfan was continuing on at NIS, when he was called to Ooty by the army to prepare for their internal competition. At this time, selection for the Asian Championships was on at NIS; two of his compatriots qualified for the 2012 London Olympics. Irfan missed out. Meanwhile Irfan hit gold at the army area meet. In March 2012, at the Federation Cup held in Patiala, Irfan resolved to do well. He set a new meet record of 1:22:14 in the 20 km race walk, which also sufficed to see him qualify for the London Olympics. Interestingly at four race walkers qualified and destined for London, race walking had significant representation in the Indian athletics squad for the event. Conditions were good in London. Irfan set a new national record in 20 km race walk at the Olympics; 1:20:21. He finished tenth in a field of 56 participants. He recalled warm, welcoming receptions in India after this achievement. Then it was back to national camp in Bengaluru. In May 2013 at the IAAF World Challenge Meet in China, Irfan finished in 1:20:59 placing fourth. This gained him entry to the World Championships in Moscow in August 2013. In Moscow, he was disqualified; at the time of disqualification he was in fourth position in the race. Disqualification (it follows a series of cautions) is for losing leg contact with the ground and for not keeping the supporting leg straight. “ Such mistakes usually happen due to the pressure of competition. The first warning does not affect you. The second one makes you conscious. It slows you down,’’ Irfan said of how the process elicits toll on athletic performance. In 2013, Indian authorities commenced a national championship for race walking. That year Irfan didn’t participate. He did, at the 2014 edition in Kochi, where he finished second in 20 km and qualified for the Asian Championships despite pulling his hamstring at around eighteenth kilometer. At the Asian Championships, he topped among participating Indian race walkers covering the distance in 1:21:41. In April, at the Federation Games, he returned a timing of 1:24:21, tad outside the qualifying mark for the upcoming Asian Games. Nevertheless based on previous performance, he made the cut. The training that followed was in Dharamshala. Somewhere during this phase, probably due to over-training or vitamin deficiency or maybe, both – he developed a stress fracture on his right ankle. Not realizing the gravity of injury he participated in the Asian Games at Incheon, South Korea and finished fourth in his discipline with a timing of 1:23:14. “ There was pain. After the Asian Games, I rested for a month and then resumed training. But the pain came back. It was then that stress fracture was diagnosed,’’ he said. Of help in this phase was his signing up with Olympic Gold Quest (OGQ); it had happened two years earlier in 2012. OGQ assisted with medical treatment. Recovery took time. Post Asian Games, Irfan was coached by Alexander Artsybashev, a Russian coach who had been working with the Indian race walking team. The next major event for Irfan was the 2016 Rio Olympics. The qualification for it was hoped to be achieved at the Open Race Walking Championships in Jaipur. Irfan placed fourth in Jaipur but he still made the cut for Rio; he clocked 1:22:45 against the qualifying mark of 1:24:00. According to Irfan, at Jaipur, as many as nine Indian race walkers made it home within the Olympic qualifying time. Then fortunes nosedived for the athlete from Kerala. The old hamstring injury he sustained in Kochi returned. Irfan couldn’t participate in the Asian Championships; he also had to avoid the Olympics. But he continued at the national camp doing off-season training. In 2017, he participated in the Open Race Walking Championships held in Delhi, where he finished first. At that year’s Asian Race Walking Championships he secured a bronze medal. “ It was my first medal at the international level,’’ Irfan said. He followed that up with good timing – 1:21:45 – at the World Championships in London. But his position in the field wasn’t as good. In 2018, he secured gold at the Open Race Walking Championships in Delhi with a timing of 1:21:31. It was good enough to qualify for both the upcoming Commonwealth Games and the Asian Games. The first of these events was the Commonwealth Games held in Gold Coast, Australia in April 2018. The weather was terribly warm. Irfan didn’t do well. He finished thirteenth in a field of 16. He got a caution in the first two kilometers; then a second. It rattled him and inhibited his performance. “ It is my habit to spend the first three quarters or so of a race with the leading group. Given the cautions, I got scared, slowed down and missed being part of the lead group,’’ he said. However, the worst was yet to come. Some days after the above mentioned race, news appeared of two Indian athletes – triple jumper Rakesh Babu and race walker K. T. Irfan – asked to leave the 2018 Commonwealth Games for violating the no-needle policy. The said policy was part of measures to weed out doping. According to published news reports a cleaner alerted Games officials to a used needle found in a cup in the room shared by the two athletes; a second needle was later discovered in a bag belonging to Rakesh Babu. The athletes said they had no idea how the needles got there. Games officials were not satisfied with their explanation. On April 17, 2018, Times of India reported that the Athletics Federation of India (AFI) had challenged the decision to remove Irfan from the Games village. But the damage had already been done. Public perception of athlete altered with the media reports from Australia. The 2018 Commonwealth Games was the lowest point in Irfan’s career. “ It was a difficult period,’’ Irfan said. The first competition after the Commonwealth Games was the World Team Cup of May 2018. “ I was mentally depressed after the Commonwealth Games. My timing at World Team Cup was quite bad,’’ Irfan said. Three months later at the Asian Games in Jakarta, he was disqualified. “ It happened at 15 km. Till that point I was in contention for bronze,’’ he said. According to the media, four Indian race walkers including Irfan suffered disqualification at the 2018 Asian Games. It was a major setback for the squad. After the Asian Games, Irfan took a break for about a month. Around December 2018, he started training again. His coach now at the national camp in NIS, Patiala was Harminder Singh, former race walker and bronze medalist at the 2010 Commonwealth Games. For coach and ward, ahead was the National Race Walking Championship scheduled in Chennai for February 2019. “ It was a good competition. 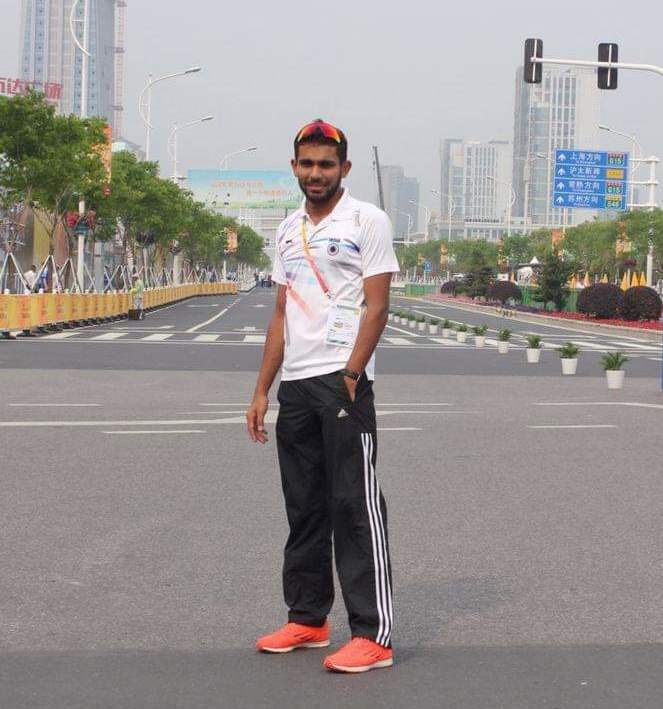 But the weather was very warm,’’ Irfan said of the event, where he defended his national title in 20 km for the third time in a row but failed to qualify for the 2019 IAAF World Athletics Championship due in Doha. However, his timing in Chennai was good enough to earn him a berth for the upcoming Asian Race Walking Championships in Nomi, Japan. Located in Ishikawa Prefecture on Honshu, the largest among the islands constituting Japan, Nomi has a humid continental climate characterized by mild summers and cold winters with heavy snowfall. According to Wikipedia, Nomi’s average annual temperature is 14.1 degrees C. The temperatures are highest in August at around 26.8 degrees C; it is lowest in January at around 2.7 degrees C. The 2019 Asian Race Walking Championships were scheduled for March. “ The weather was really good,’’ Irfan said of conditions on race day in Nomi. One hour 20 minutes and 57 seconds after commencing the 20 km race walk, he was once again the stuff of positive news in India; he had become the first athlete from India to qualify for the 2020 Tokyo Olympics. 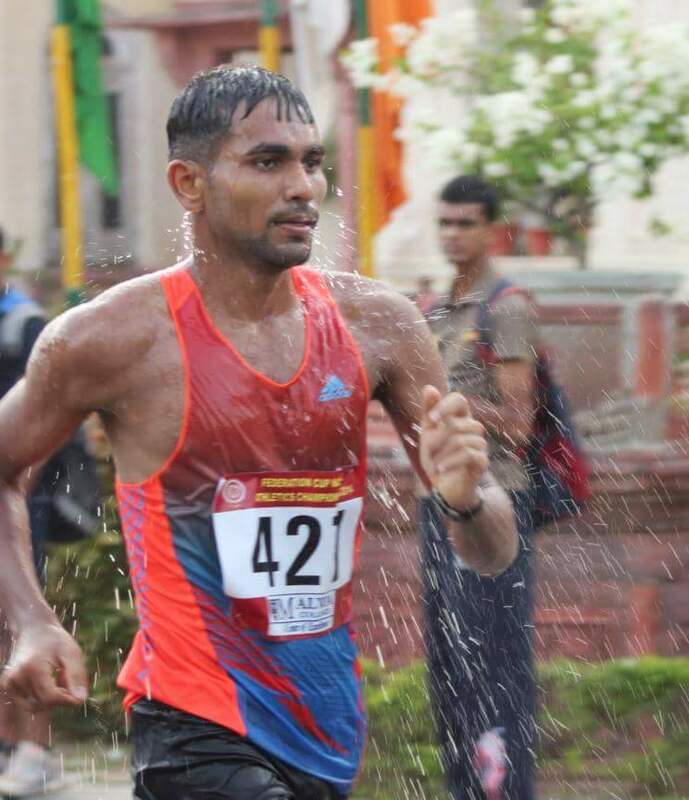 On March 17, 2019 the Press Trust of India (PTI) reported: National record holder K. T. Irfan on Sunday became the first Indian from athletics to qualify for next year’s Olympics while finishing fourth in the 20 km event of the Asian Race Walking Championships in Nomi, Japan. A huge load was lifted from Irfan’s shoulders. The long shadow of the 2018 Commonwealth Games seemed to recede. “ I hadn’t gone to Nomi hoping to qualify for the Olympics. I was looking to meet the qualifying standard for Doha. I am very happy with the outcome,’’ Irfan said. Irfan’s personal best (also national record as of March 2019) was the timing he returned over 20 km at the 2012 London Olympics – 1:20:21. The world record for the same discipline (at the time of writing) was 1:16:36 held by Yusuke Suzuki of Japan. According to Irfan, in the 20 km discipline, the weakness of Indian race walkers is usually the last five kilometers. “ For 15 kilometers we manage to stick with the leading group. Thereafter we begin to fade while the stronger race walkers in the field get quicker. If we try to go faster, we risk disqualification,’’ he said. It highlights the points to focus on in training, as race walkers try to honor the sport’s technical rules and still push pace despite exhaustion. With the means to identify loss of foot contact and bending of support leg, set to become more sophisticated and accurate, race walkers have their work cut out. It was now noon in Kuniyil and K. T. Irfan, glad for Nomi, was not looking that far into the sport’s technological future. He was just happy to put all that bad press from Gold Coast behind, enjoy his days at home on leave from the national camp and when the break gets over, return to training for Doha and Tokyo. Just as we left the sturdy brick and mortar house that was now his home, he pointed to a small crumbling building on the edge of the compound. “ That is where we used to live,’’ he said. Half an hour later, I was on the bus back to Kozhikode.